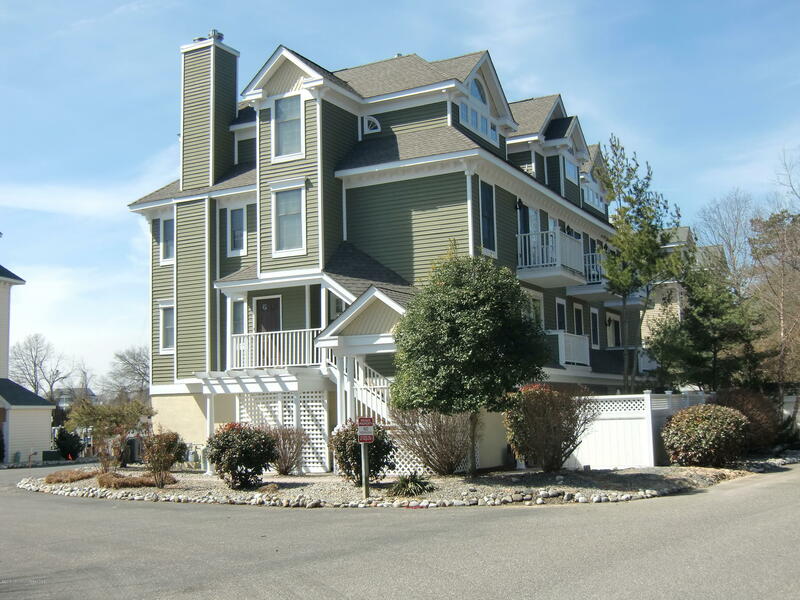 Absolutely, positively mint waterfront, desirable 2 story end unit. Waterviews in front ( you can see your INCLUDED boat slip from livingroom balcony), & wooded privacy in back. A very impressive BRAND NEW list includes: s/s appliance pkg (ref, 5 burner stove, microwave w/warranties). JUST installed beautifully neutral carpet upstairs, COMPLETE new bath(never used). PLUS newer furnace, HWH (less than 2 yrs ) & oversized AC condenser. AND newer roof, exterior paint & 2 redone balconies. Roomy 1 BR on main floor w/balcony, huge 2nd loft BR or living space upstairs. Inviting livingroom w/gas FP, marble hearth & balcony to waterviews. HOA fee includes your flood insurance. NO Sandy damage...just light-filled, sparkling and ready to enjoy everything at the Jersey Shore.